Located at the foot of the Alpine slopes, the Austrian city of Salzburg is brimming with rich history and monumental landmarks, depicting a stately, well-preserved metropolis. 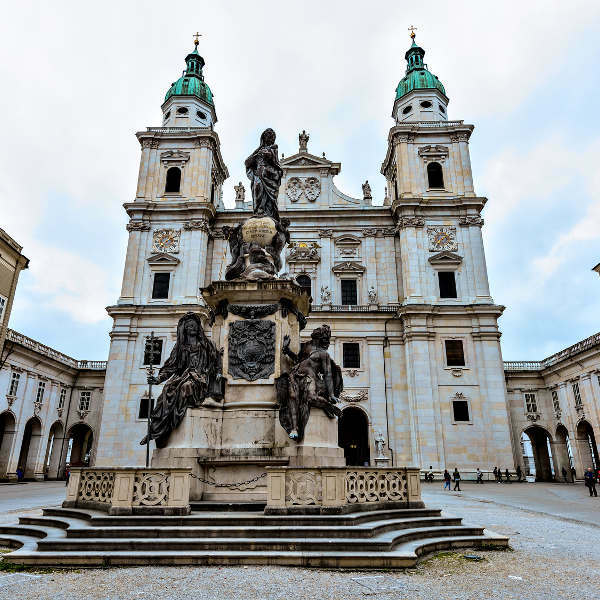 This student town is the birthplace of Mozart and a World Heritage Site with its Baroque architecture, medieval castles, cathedrals and striking natural landscapes. It’s a favourite holiday destination for many tourists. Cheap flights to Salzburg are now available for a limited time only, so book your flight today and prepare to be bowled over by the stunning scenery and historical charms of this city! Salzburg is home to Salzburg Airport (SZG), a 10-minute commute from the city centre. Wander through the old town filled with grand cathedrals and museums, boasting the most magnificent architecture and artwork. Don’t miss the Salzburg Castle, Mozart’s Birthplace and the medieval alleyways of Getreidegasse. 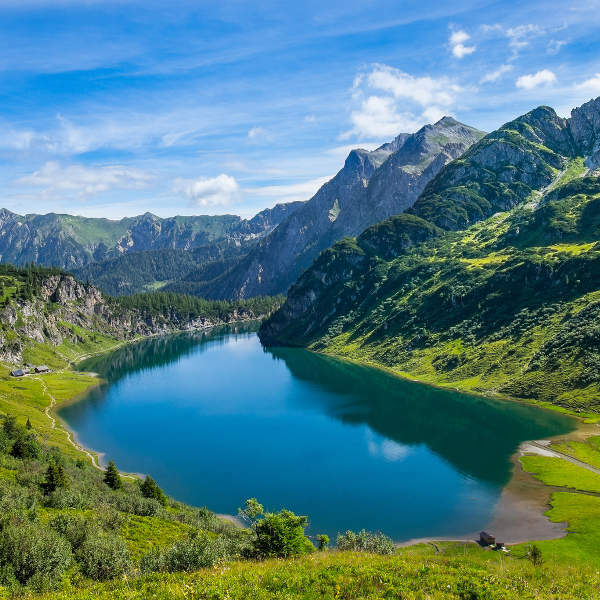 Explore the Bavarian Mountains, Eagle’s Nest retreat and the Austrian lakes, while reliving your favourite scene on The Sound of Music tours. Discover the little villages on a horse-drawn sleigh ride through the countryside. 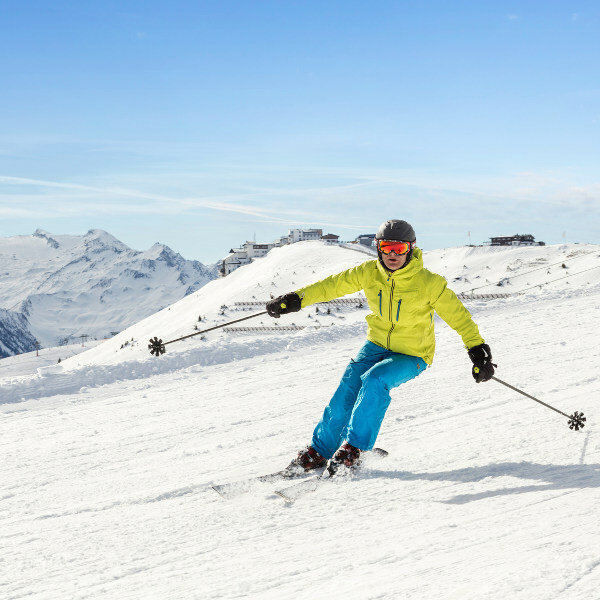 A cable-car trip up the slopes of Untersberg reveals spectacular views of the lush valley below and snow-capped peaks of the Alps. The crystal waters of Lammerklamm are optimal for canoeing through the surrounding Alpine scenery. Salzburg experiences a typical central European climate of cold, snowy winters and pleasantly warm summers. As the summer time, between June and August, brings crowds of tourists, attractions can often be crowded and prices sky-rocket. Likewise, the Christmas season (between November and January), although festive and pretty, will leave you with a deep hole in your pocket. Take advantage of the off-season months of April/ May (spring) and September/ October (autumn). Despite a brisk freshness to the air, the weather is still pleasantly warm and sunny. Salzburg is arguably one of the most beautiful cities in Europe. Carefully preserved, the Austrian city is surrounded by a backdrop of lakes, landscapes and Alpine mountain peaks. Salzburg is the fourth largest city in the country and was declared a UNESCO World Heritage Site in 1997 thanks to its Baroque architecture in the Old Town city centre. While the city buzzes with first world European charm, it has remained largely untouched at the foothills of the Alps. The birthplace of Mozart, the city derives its name “Salt Fortress” from the barges carrying salt along the Salzach River in the 8th century. As a clean and well-preserved city, visitors can cycle or walk around the major attractions. Summertime brings many activities and festivals to the city, including the world-famous Salzburg Festival, where visitors are treated to spectacular theatre, art displays and music performances. Peruse the famous landmarks of Hellbrunn Castle, Salzburg Fortress and Salzburger Alstadt for a glimpse into the history of this charming city. The Old Market Square and Mirabell Palace and Gardens are also worth exploring. Escape the city bustle and go on a tour of the salt mines and ice caves; the Sound of Music excursions offer visitors a tour of the famous locations of the film itself with panoramic views of the city. Compare several airlines, and book your cheap flights to Salzburg online at Travelstart! Salzburg is considered to be one of the safest cities in the world, so sit back, relax and enjoy every moment in this historical and beautiful city. Nonetheless, don’t be irresponsible and exercise the usual precautions you would anywhere else. Violent crime is practically unheard of and petty crime, like pick-pocketing mostly occurs during the busy seasons and in crowded areas. There are many well-stocked pharmacies, and should you require medical care, most doctors and policemen can speak a good level of English. It is advisable to take out medical travel insurance before your trip, as hospital bills can get quite expensive.